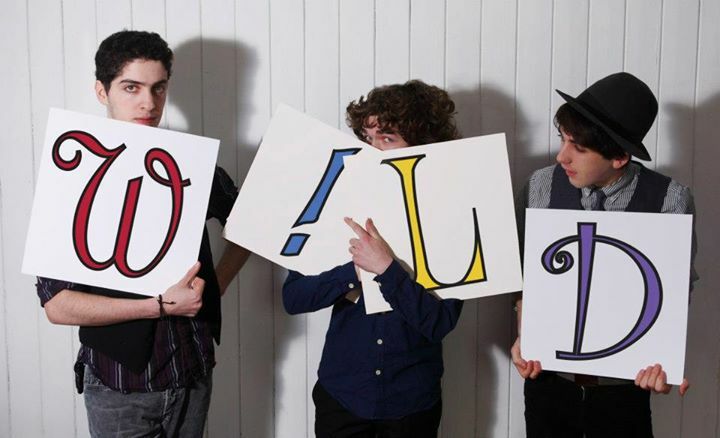 An up and coming young band from Cork, W!ld, launched a really exciting new project today, Song Century. I’ve been following W!ld for a fair few years now, back since I first saw them live in ’06 or ’07, though they went by a different name then. I’ve watched three different names, with three different drummers. The line up now has been going since 2010 and consists of brothers Perry and Louis Wild and their long time friend Ben Duffy, all of whom have absolutely fabulous hair (Though it has seen bigger days). The hints started a week ago, with a song coming out every day on SoundCloud and their new website was unveiled today.It’s a very new and interesting theory, they’ve demoed 100 of their original songs and they want people like YOU to help them with an independently crowd funded democratic album, something that just might be the first of it’s kind. They want people to donate towards the formal recording and mastering of the album, including hiring session musicians and so on, and in exchange for your money you get ten votes towards which songs will be on the final album! There’s a full and detailed description of what their plan is on the site, but Perry’s potted version is here. “We’re trying to raise enough funds to make our debut album. The website is hooked up to paypal and anyone who makes a donation can vote on the 10 songs they like best from our 100 song longlist (there are other rewards as well, CDs and the like). Once we’ve reached our goal of €15,000 we’ll head into a recording studio and record the 10 songs that got the most votes. Like other crowd funding websites like Pledgemusic or Kickstarter they have some reward levels and for a minimum of 5 euros you can have a digital download of the finished album. (For more information on the donations go here). I’m slowly working my way through the hundred songs, some are older ones I know quite well, others are really new and exciting to hear. Some of my favourites so far are Old Friend, (Enduring) Summer Showers, A Wedding Band’s Lament, The Bus I Nearly Caught, Shadow Dancers. They’ve also got an exciting home page, which if you look at in the right way is almost a hidden object game. How many body parts or detectives can you find? Can you find the hidden message and the answer to it? What is a type of food Ben really enjoys? The lovely lads, Ben, Perry and Louis. This entry was posted in Uncategorized and tagged 100 songs, band, Cork, crowd funding, demo, democratic album, excitement., exciting songs, fun, HOG, music, W!ld, Wild.